So many things about President's Week were awesome. We received a ton of new snow and enjoyed both white-outs and blue-bird powder days. People struggled with snowy roads, chain-control and highway shut downs but donned big smiles as soon as they hit the slopes. 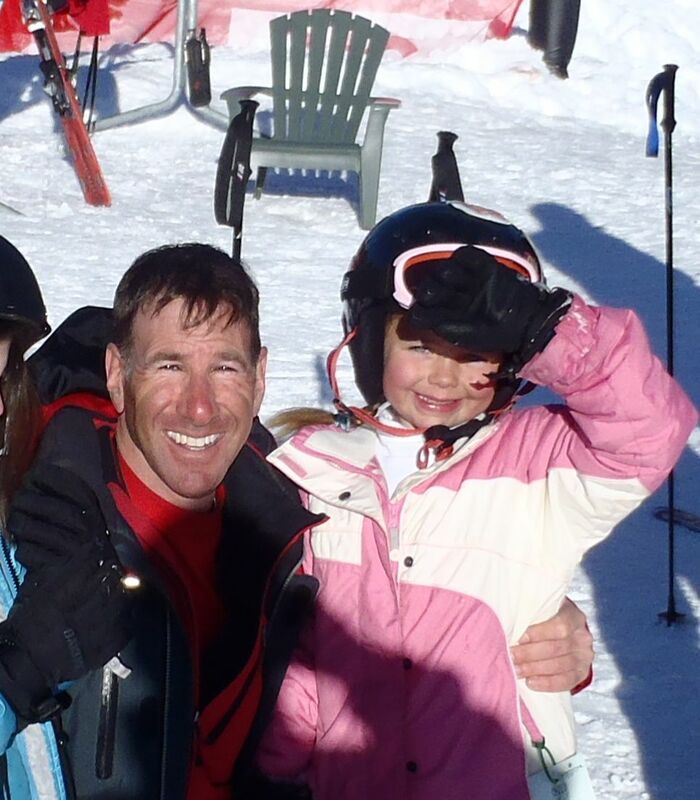 I skied for multiple days with a few families I've known for years, and met a few new folks as well. Special thanks to the Tuchs and the McClellands (friends from grad school), for letting me and their kids tear up the powder together. With all this snow, we should be skiing into late April. Come on up! A number of my friends keep saying "When's your day off? When can I get you to help me with a few tips to take me to the next level? I don't need a whole day lesson, and mainly want to ski hard, get a few tips and have you show me the mountain." The problem has been that my days off don't fall on the weekends, and I'm probably teaching their kids on the day they'd like to ski themselves. If you're one of these people, the time to come up and ski with me is this Sunday. Why? Because I'm teaching Northstar's Skills Clinic. It's designed for the intermediate and upper level skier (levels 6 and above). For $219, you get an all day lift ticket, all day lesson and a high performance demo package from Snowell. The Demo Center carries the newest skis from K2, Nordica, Volkl, Atomic, Dynastar, Blizzard and Rossi; ski boots from Technica, Nordica, Lange and Atomic. Demo snowboards from Burton, Forum, Rome, DC and K2. Each time I've taught this before, I've had only one or two students. It's basically a private lesson with all the perks that go with it, plus an opportunity to try the latest and greatest equipment. We could switch skis multiple times during the day at the mid mountain demo shop, but I think we'll be on the fattest powder boards they have, and we'll stick with them! This message will not self destruct in 5 seconds... so feel free to "like it!" It's coming down hard, and the majority of the snow is still to come. 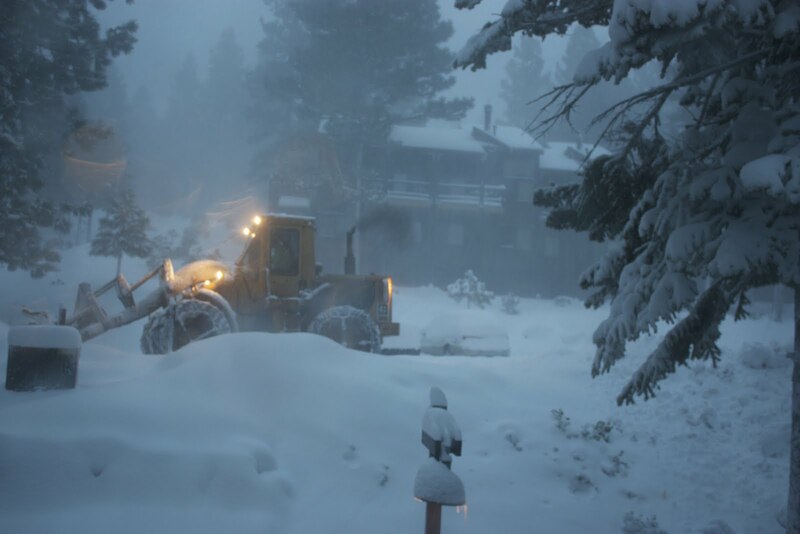 As you can see in this photo shot from the front door of our Indian Hills condo near Northstar Village, we've already got 14 inches on the ground and the snow plows are hard at work. I drove back last night after the event at the Sports Basement, and coming over the pass was tough. Chain control was in full force, there was 4-5 inches of snow on the road, and we were creeping at 30mph for what seemed like forever. If you're coming up, even later in the week, I'd suggest leaving a few hours early. 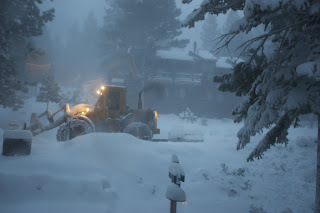 The snow is expected to continue all week. Be careful, and bookmark the link above or below for a good source of Northstar-specific weather info. Linking turns is sometimes easier than linking to photos! Some recent students have been asking where to find the photos from their lessons, so this post is to provide some slide shows and links.